Join renowned quilt artist Yoko Saito, who offers you a cornucopia of original block designs in her signature taupe quilting style. In this collection, Yoko brings her matchless interpretation of folk-inspired blocks: stars, crosses, triangles, pinwheels, circles, and other geometric shapes. Though the blocks are small in scale, each template is gridded and can easily be increased to any size. Use these blocks in your own creations or make one of the 10 beautiful projects included in the book. These include Yoko's signature bags, baskets, and pouches in her uniquely charming style, with all templates on an enclosed pattern sheet. 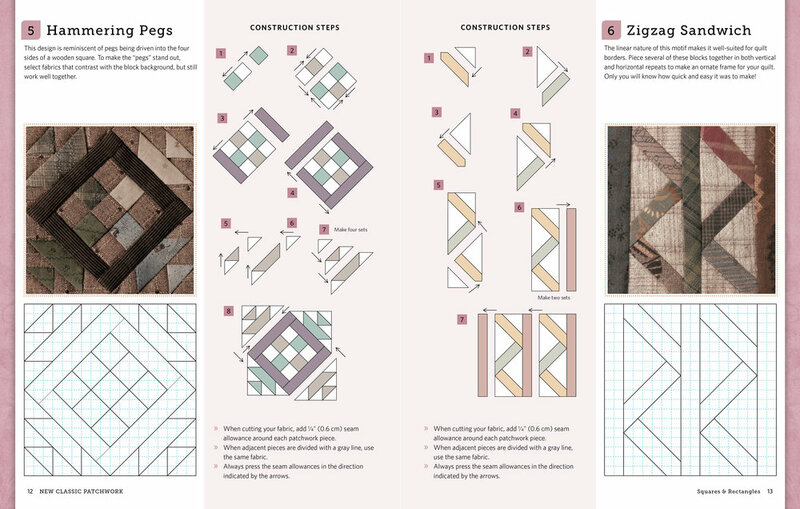 New Classic Patchwork invites you to create beautiful patchwork projects using original blocks from a master quilter.